Nowadays many people like watching TV at their free time, and most people love watching entertainment program, including poker events. As the World Poker Tour became a great event, the accessories of the games also became attractive, Fournier WPT playing cards are especially designed for this great game. 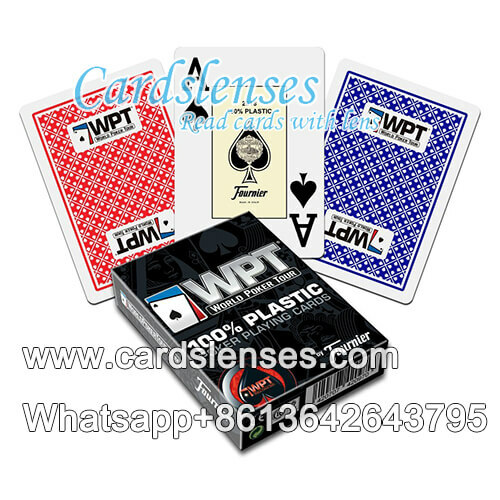 GS is a producer of poker cards of different brand and models, we also provide Fournier WPT playing cards, and actually, it is very popular among poker players. Fournier WPT playing cards can be used not only in poker events, but also family games and private parties to have fun. If you want to buy our Fournier WPT playing cards, we have more details for you.